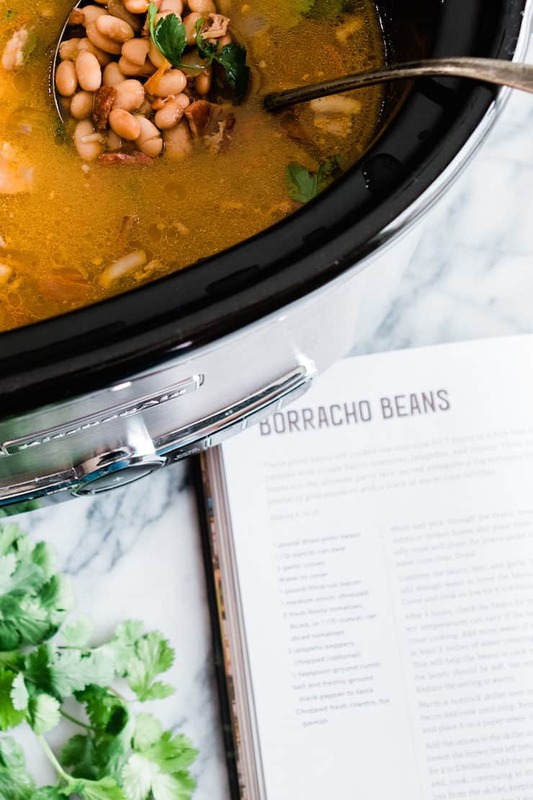 I am so excited to share this recipe for borracho beans with you! It’s a recipe I have wanted to make and was thrilled to find it in my very good friends new cookbook. 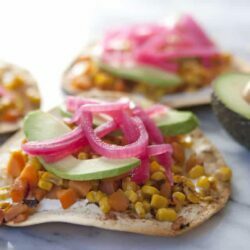 This recipe is by Vianney over at Sweet Life. 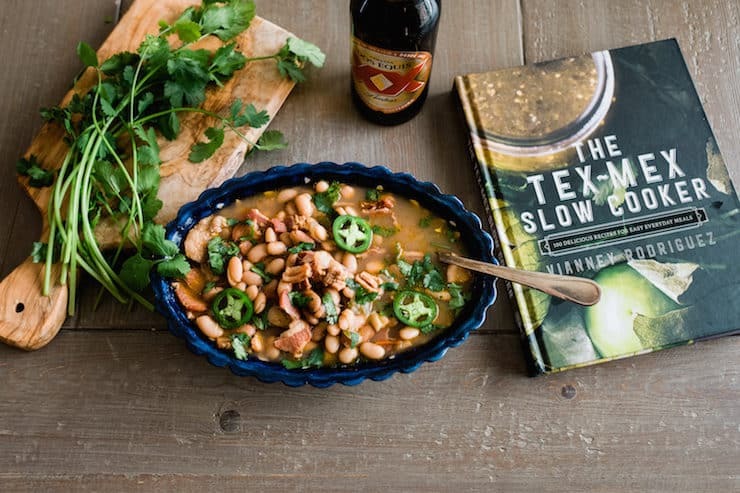 Her new cookbook is called, The Tex-Mex Slow Cooker. Not only am I sharing this recipe with you, but I am also giving you an opportunity to win her cookbook and a slow cooker. 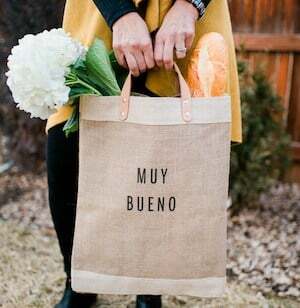 With Mother’s Day right around the corner who wouldn’t love this amazing giveaway? 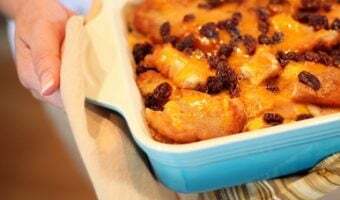 Scroll down to find the recipe and enter the giveaway. 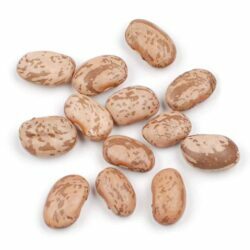 These beans are the perfect dish to make either for a weeknight side dish or as a side dish for a fiesta. 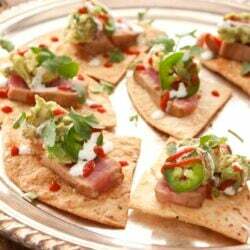 This dish reminds me of El Paso and family summer cookouts. 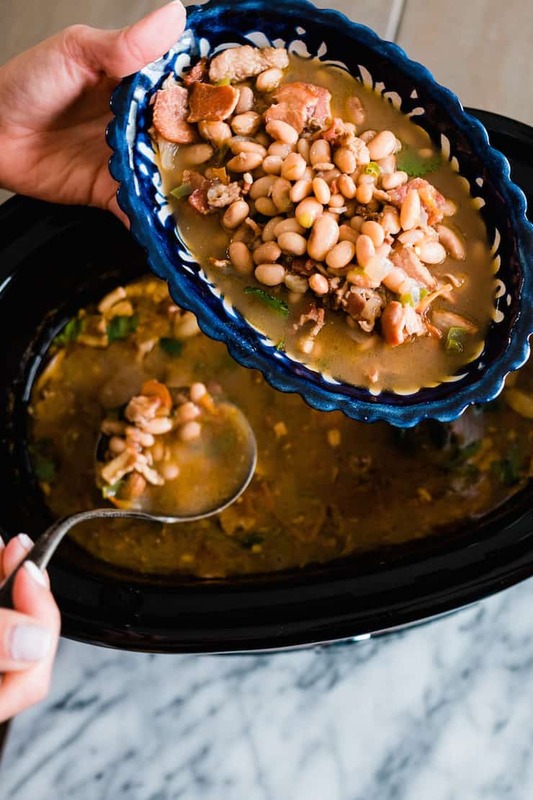 You literally place a handful of ingredients into the slow cooker, have a good nights sleep, wake up, and your house will be filled with the aroma of bacon. Very similar to frijoles de la olla, but with the addition of chopped bacon, onion, garlic, jalapeños and diced tomatoes. 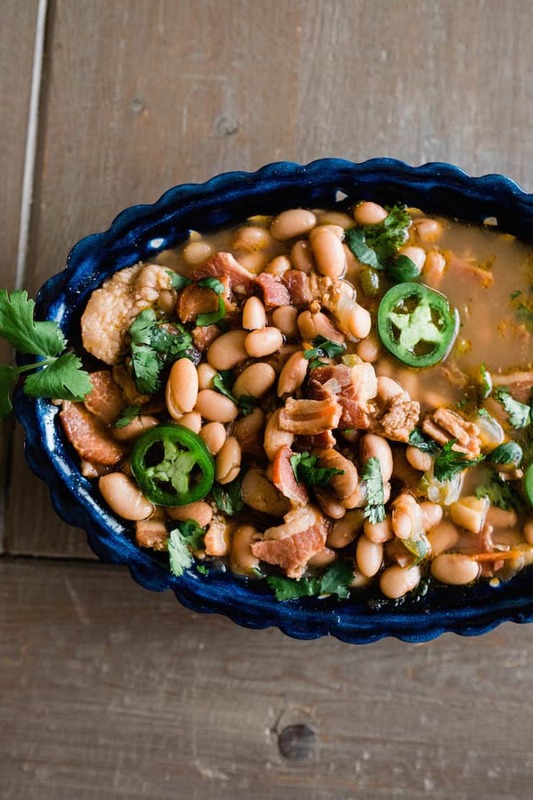 These borracho beans are creamy, spicy, and delicious. 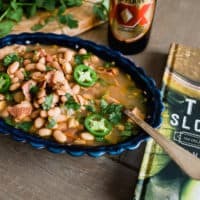 I hope you have a chance to order Vianney’s cookbook, because it is seriously full of delicious Tex-Mex recipes that are so simple to make — all in your slow cooker. It doesn’t get any easier than that. Especially during hot months when the last thing you want to do is turn on your stove or oven. 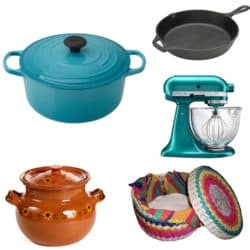 The Tex-Mex Slow Cooker is filled with tried and true Tex-Mex recipes all made in a slow cooker. 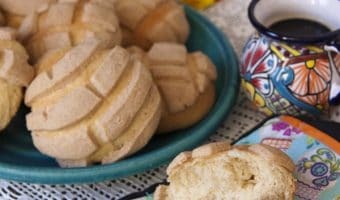 You can plan an entire fiesta with the recipes in this cookbook – everything from breakfast to appetizers to entrees to desserts. If you didn’t know, Vianney is my co-author for Latin Twist: Traditional and Modern Cocktails and she knows a thing or two about delicious cocktails. 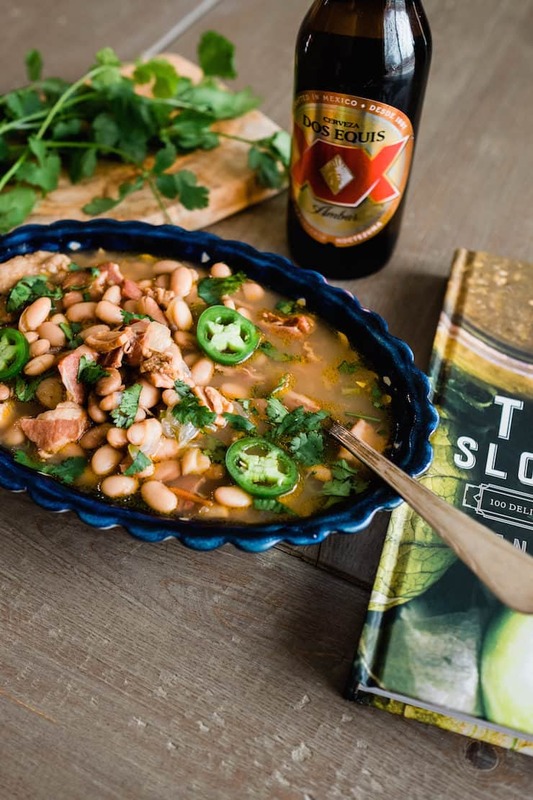 In her new cookbook you will also find plenty of thirst-quenching Tex-Mex inspired beverages and cocktails. Her book is filled with classic and traditional dishes she grew up eating, but also creative new recipes. Be ready to be hypnotized with queso, tequila, hibiscus, and plenty of pecans. Spread beans over your counter so you can look for beans that are broken, discolored, or shriveled and remove them. There will also be small stones or pebbles that should be sorted out of the beans during this phase. Discard all of the undesirable pieces. Soak your beans for 30 minutes to 1 hour before cooking. Add soaked beans, beer, water, and garlic to slow cooker. Chop bacon into 1⁄2-inch pieces and fry in a large skillet until crispy; drain and set aside. Add the onions to the skillet and cook, stirring frequently to loosen the brown bits left behind in the pan from the bacon, for 2 to 3 minutes. Add tomatoes and jalapeños (if using) and, cook, continuing to stir and incorporate and leftover bits from the skillet, keeping all the delicious goodness in your beans, for 2 to 3 minutes. Remove from heat. Add the contents of the skillet to the slow cooker, along with the cooked bacon. Add salt and stir until well combined. 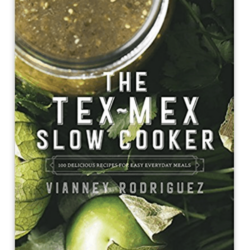 How would you like to win a slow cooker and a copy of The Tex-Mex Slow Cooker? Well, you are in luck because I’m giving away both! Enter the giveaway below through rafflecopter. Entries must be posted by May 15, and one winner will be chosen at random. Good luck! Hawaiian Chicken is my favorite recipe to make in my slow cooker. My favorite recipe to fix in my slow cooker is Short Ribs in a bbq sauce. Yum. My favorite recipe is to make in a slow cooker is pulled pork with BBQ sauce. It is so tender and yummy. Ooh!! 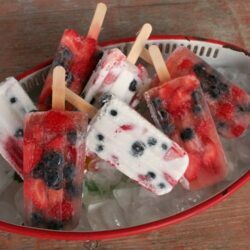 Looks very delicious. Beans are my favourite. Your recipe is really good and I will try it sure. Thanks for sharing. I love to cook a whole chicken in the crock pot. Kalua pork is phenomenal when made in a slow cooker! My favorite thing to cook in a slow cooker is pork for pulled pork sandwiches. Carne Guisada is my favorite recipe to make in the slow cooker. Barbacoa is my favorite thing to cook in a crockpot, I put it on before bed and wake up to breakfast. 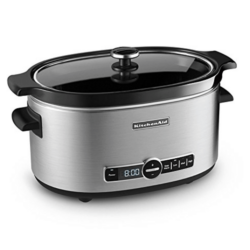 I like making BBQ pulled pork or a nice chicken stew in a slow cooker. I love to make homemade baked beans in the slow cooker. I love Taco Lasagna in the slow cooker. Scalloped potatoes it’s so easy and good. Although alcohol is not recommended while attempting to lose weight, it is possible to drink occasionally and still being in shape. This recipe looks great, I do recommend however consume alcohol in moderation since every person has a different level of resistance to it and the liver stores toxins from very the minute you ingest it. 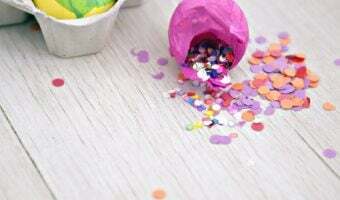 This Pinterest site https://goo.gl/XCQSnw?ericberg also provides valuable information about this and other related topics. Everything in the slow cooker turns out amazing, but my favorite is chicken tacos! I love slow cooker black bean soup. My favorite recipe to make in a slow cooker is homemade chili. I love a nice bbq shredded pork in the slow cooker or some orange chicken in the slow cooker. My favorite recipe to make in a slow cooker is lime chicken. My Favorite is chicken and rice and vegetables. So yummy. I can eat it everyday. This is a very common side in for cookout. Love them and no slaving in the kitchen in this hot weather.